Acupuncture and Dry Needling, Are They the Same? Acupuncture and dry needling, are they the same thing, or two different therapies? Well, it depends on who you ask. Ask an acupuncturist, the answer is no, there is no difference. Ask a physical therapist or athletic trainer, and the answer is yes, it is very different. As an acupuncturist, I do fall in line with my fellow colleagues. I think that yes, dry needling is a type of acupuncture. But I also see the physical therapists point of view, that dry needling can be successful without any knowledge of qi or meridians. Lets look at the definitions and a little history of both. We can break that down a little bit, to make it more understandable. Filiform means “threadlike” and a thin filiform needle is an acupuncture needle. 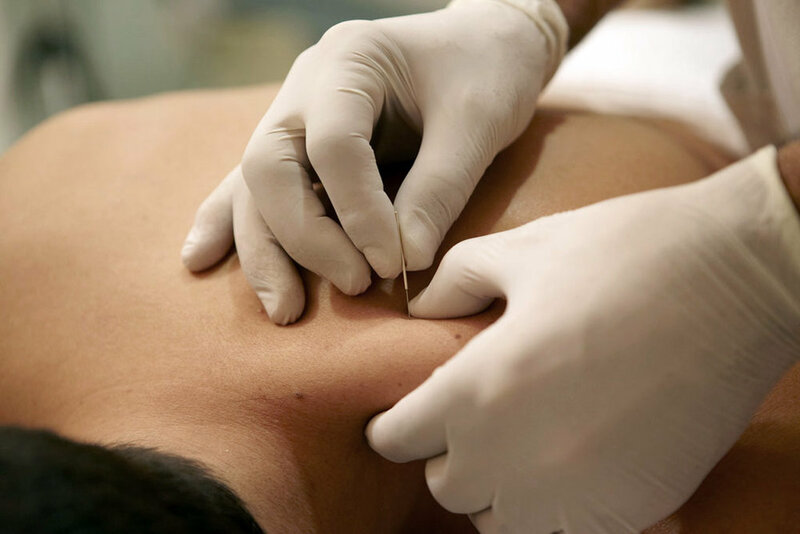 Acupuncture and dry needling both use the very thin acupuncture needles, as opposed to a hypodermic needle that injects “wet” substances. Dry needling stimulates trigger points, muscles and connective tissue. Basically, a trigger point is what we commonly call ‘knots’ in our muscles. When we press on these knots, it is very tender, and often we can feel pain that radiates to other parts of the body. These trigger points are deactivated through dry needling. 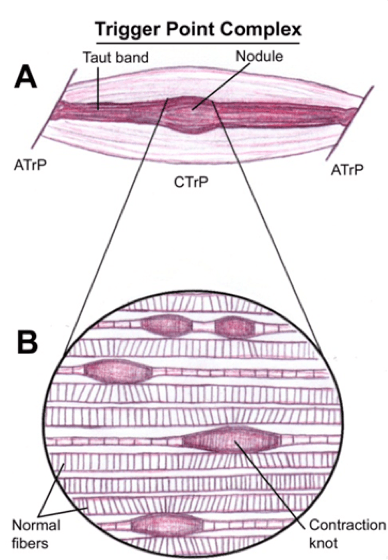 This penetration by a needle will illicit a local twitch response in the muscle, and this twitch response is what creates the relaxation of the tissues. The APTA states that dry needling is used to stimulate not only trigger points, but also muscles and connective tissue. Connective tissue is a very broad term for just about everything else in our body. It includes blood, cartilage, bone, tendons and ligaments, fascia, and adipose tissue. It’s my guess the APTA intends mean connective tissue only as it applies to the neuro-musculo-skeletal system. But the APTA states that using dry needling anything other than trigger points isn’t as well researched by western science. Here is where acupuncture and Asian medical theory can explain it’s efficacy very well, but it needs the concept of qi and meridians to do so. When we talk about the difference between acupuncture and dry needling, the most obvious is the scope of practice. Acupuncture is a complete system of medicine on it’s own. Not only does it treat pain exceptionally well, it treats everything from gynecological disorders, digestive complaints, heart disease, diabetes and even cancer. The only limit is the skill and experience of the practitioner. Any practitioner of dry needling would never claim they treat any medical conditions other than musculo-skeletal and nerve pain disorders. And this is where the argument for a difference in the therapies lies. But even though every square isn’t a rectangle, every rectangle is a square. You can’t call all acupuncture dry needling, but there is a case that all dry needling is acupuncture. 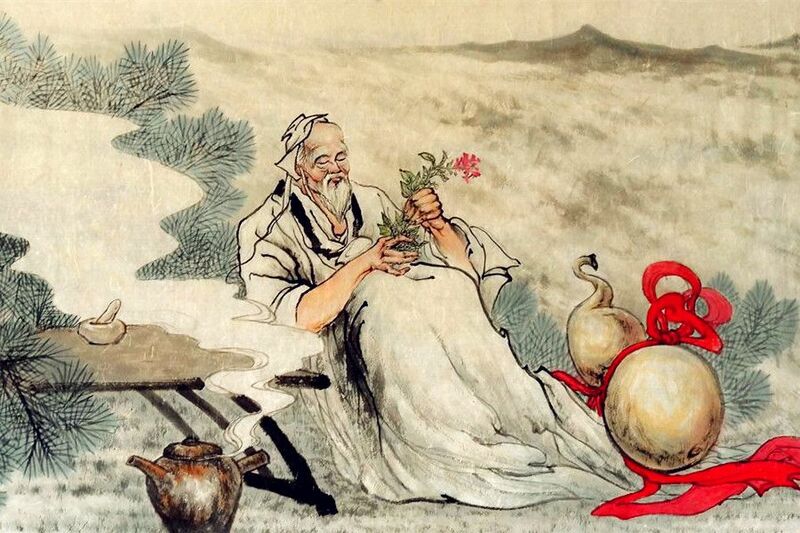 Sun Si Miao is known as the king of Chinese medicine. This sounds very similar to the above definition of a trigger point. This technique is a great description of dry needling as well. Find the tender nodule, insert the needle into the nodule, and rapidly insert and withdraw the needle until the painful nodule is no longer present. There are many advantages to having an acupuncturist perform dry needling. The physical therapists and athletic trainers definitely have an excellent knowledge of anatomy. But there is no comparison with the experience an acupuncturist has with needles. Proper insertion of a tiny needle into a body involves a lot of subtlety. The qi of the practitioner is just as important as that of the patient. A good acupuncturist spends a lot of time creating their own healthy qi. This creates a refinement in the acupuncturists ability. This refinement, whether it’s dry needling or acupuncture, will maximize effectiveness and safety. The acupuncturist also has extensive knowledge of how to affect meridians and body systems with acupuncture needles. Many more layers of disease are addressed, at the same time dry needling is performed. Ideas such as dryness of the muscle tissue, qi and blood stagnation and deficiency may be causative factors of painful trigger points. Both trigger points and the underlying cause are addressed when an acupuncturist performs dry needling. Acupuncture increases levels of triglycerides, specific hormones, prostaglandins, white blood counts, gamma globulins, opsonins, and overall anti-body levels, which improves immune function. Acupuncture stimulates the release of endorphins, neurotransmitters found in the brain with morphine-like properties. What is Cupping, and How Does it Work? I’m always ready for this question when I start a treatment with cups. There are many ways to explain cupping, and I’m going to attempt to do it simply from two angles, Chinese Medical theory, and modern Western Anatomical theory. 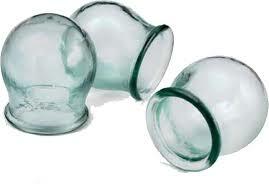 Where Does Cupping Come From? Cupping isn’t only a Chinese modality, as many grandmothers will attest. 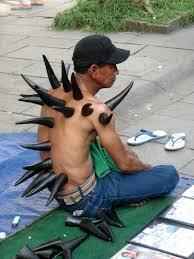 Ancient cultures all over the world have used cupping as a medical treatment. It is at least 5000 years old and is found in Egyptian, Greek, Arab, Indian, Turkish, and Russian cultures. Many people of different ethnicities tell me of their grandmothers using glass jars and a candle to do cupping on them when they were sick. Dry Needling is a pain management therapy that is gaining traction in the orthopedic medicine world. Treatment of pain is a real challenge for Western Medicine, but the opioid epidemic in this country has made finding alternatives a priority. This is where trigger point acupuncture, also called dry needling, comes into play. The term “dry needling” was coined by Janet Travell, author of the book Myofascial Pain and Dysfunction: Trigger Point Manual. Dry Needling is the use of acupuncture needles to deactivate trigger points in the muscle tissue. A trigger point is a pesky knot of pain the muscles tissue. All the deep tissue massage and stretching in the world doesn’t seem to get rid of them. But needles can, and quite effectively. Why is it called Dry Needling? It is called Dry Needling as opposed to wet needling, where a substance is injected into the tissues. In some states physical therapists do this therapy. 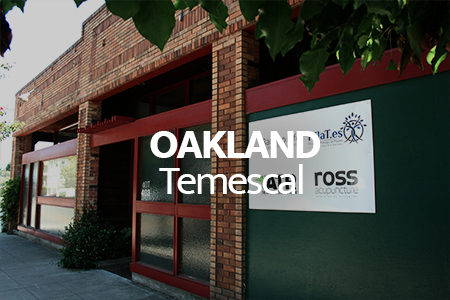 Here in California, only acupuncturists and medical doctors are licensed to use the needles, and perform Dry Needle therapy. As an orthopedic acupuncturist, I use this type of therapy quite often, and I see very good results with patients who can’t seem to get lasting relief otherwise. 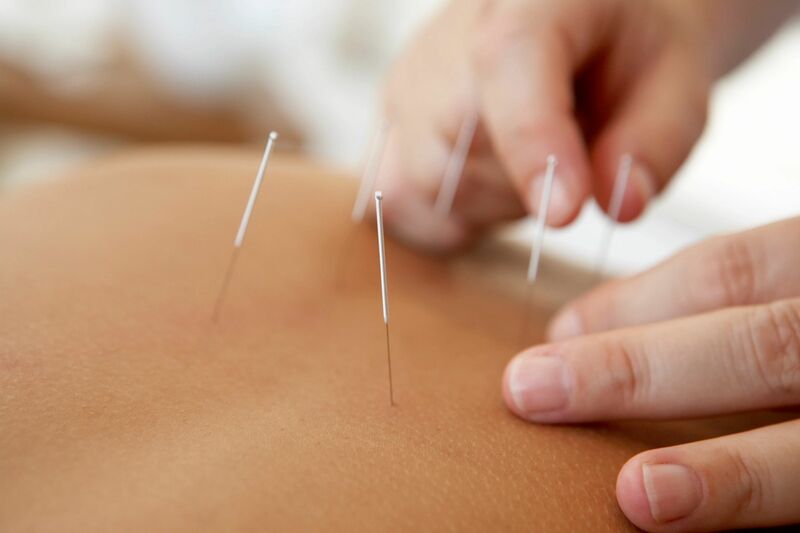 Practitioners insert acupuncture needles into the irritable and sensitive knots in the muscle tissue. Often an immediate local twitch response is elicited. This can feel like a quick little cramp. It is actually a release of the trigger point, and the muscle tissue relaxes while blood and energy circulation is restored. This release is also be called “breaking up a knot”, and inflammatory chemicals are realeased from the specific spot. This release of chemicals will create a local soreness in the area, similar to what happens after an intense workout. This soreness usually lasts about 12 to 48 hours. When it subsides, there is a very obvious relaxation of the muscle tissues, and pain levels are decreased, while range of motion and mobility is greatly increased. How Long Before I feel Better? Everybody responds differently. Sometimes after just one treatment there is a dramatic reduction of pain. Usually I like to see a person for 4-6 sessions to treat trigger points. Then perhaps once every few months for a tune-up. 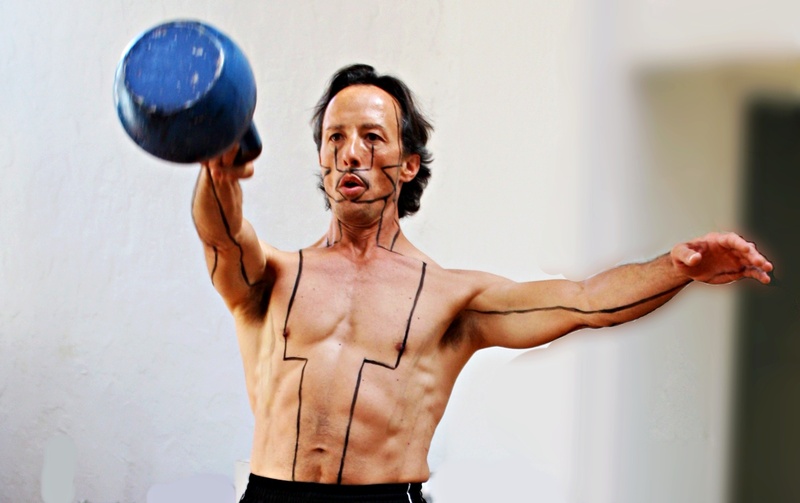 Line Series III, Mike Luque and a Kettle Bell. This is Mike Luque. He is a trainer at The Working Body. Mike models the and Stomach, Heart, and Small Intestine acupuncture channels. Kettle bells are his idea of fun. Please log in to the PATIENT PORTAL before your first visit.